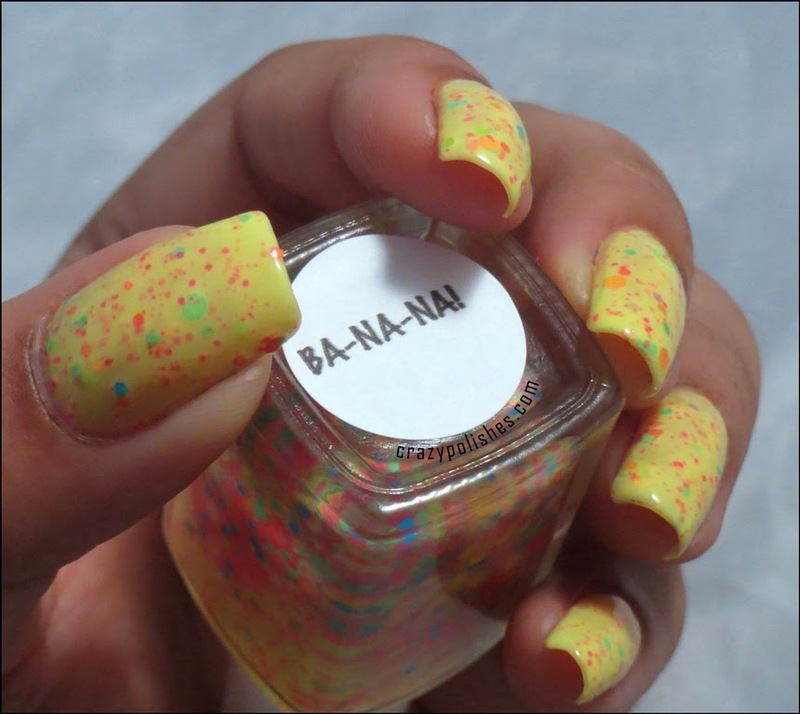 Crazy Polishes - nail arts, swatches, reviews Crazy Polishes: ILL Weekly Challenge - Glam Polish BA-NA-NA! ILL Weekly Challenge - Glam Polish BA-NA-NA! Today is the day for weekly ILL challenge4 and the theme today is "Nail Art over a Glitter Base". 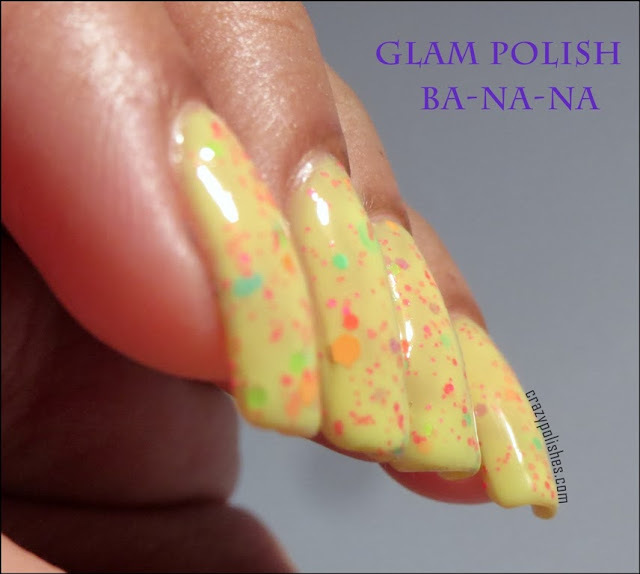 I recently bought Glam Polish Ba-Na-Na! from Rainbow Connection, so i decided to do a manicure with this. Ba-Na-Na! is my love at first sight. When i saw this polish on the store, I knew i need it. 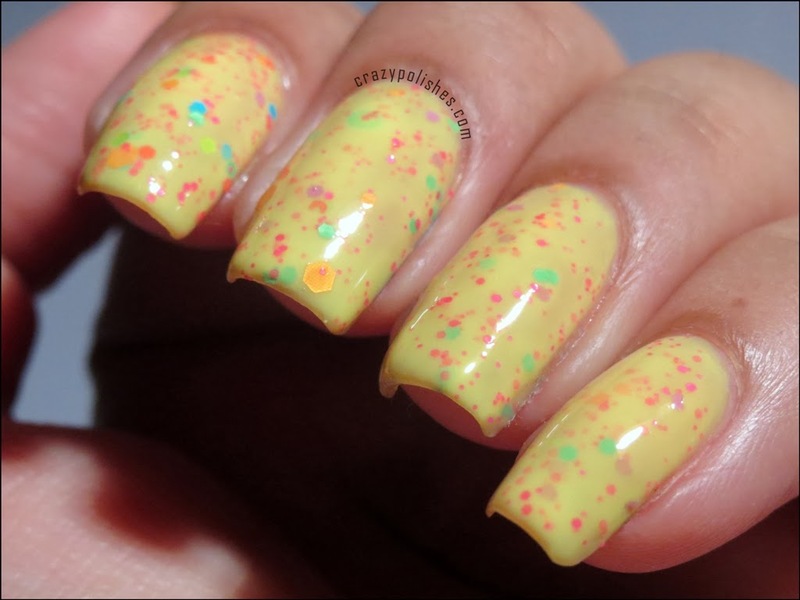 It is a yellow crelly polish with lots of pink, blue, green, orange even purple hex glitters along with few dot glitters of different sizes I wasn't sure about the formula at the time of buying and thankfully it is good as compared to other yellow polishes. 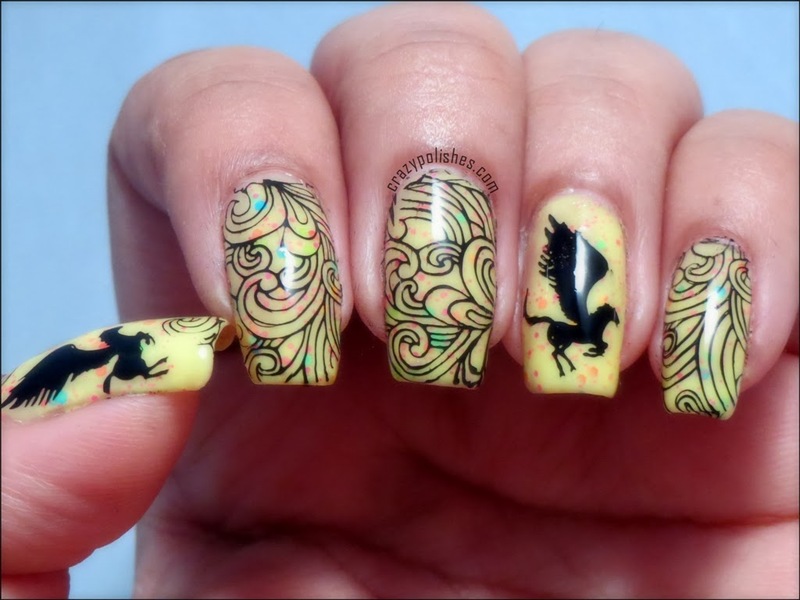 It requires three thin coats or one thin and one generous coat for opacity but the application is nice and I didn't mind that. 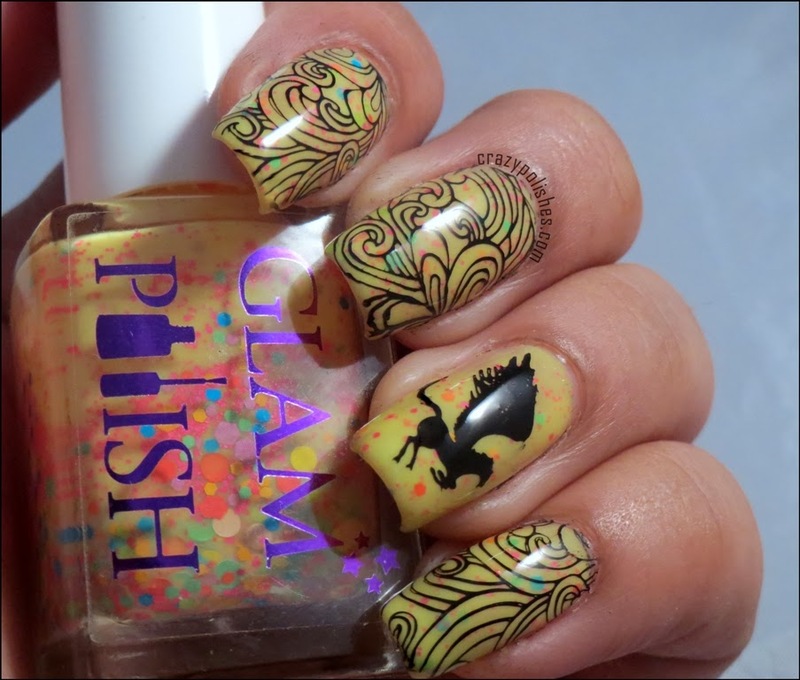 Glitters are easy to apply too, I didnt have tofish for them and they transferred easily on nail with each coat. It is now one of my favorite yellow indie polish. I applied 3 coats for the pictures below and a coat of seche vite. I stamped this base with Moyou Fairytale collection 02 stamping plate using Moyou nail sp black. If you like yellow crelly polishes then I definitely recommend this one. 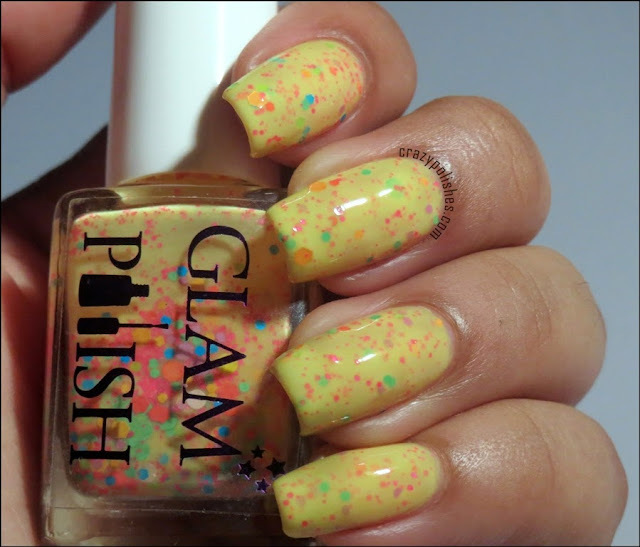 You can buy Glam Polish directly from their Big Cartel Store or from Rainbow Connection(within UK). 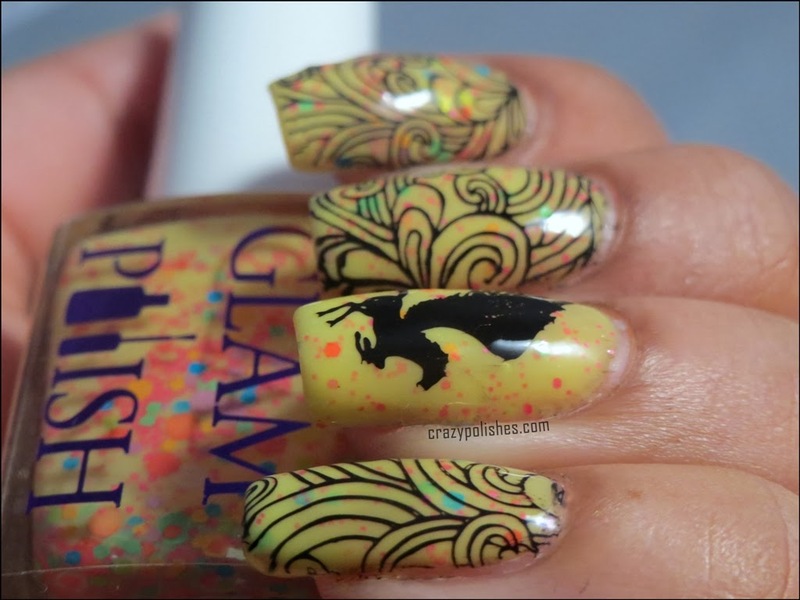 Pleae share what you think about this polish. Christmas Manicure - Guest post at "The-Crumpets"